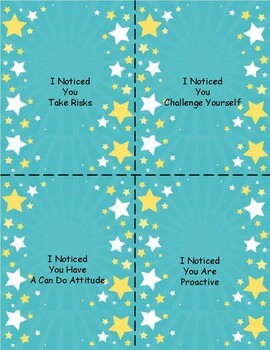 Focus on the positive things your students do and recognize them as they develop a growth mindset with these fun student recognition cards! 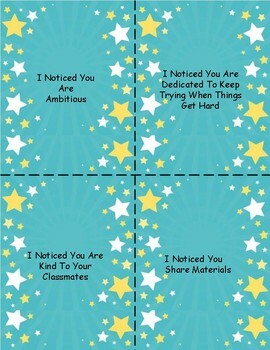 These cards are sure to warm your students' heart and put a smile on their face. 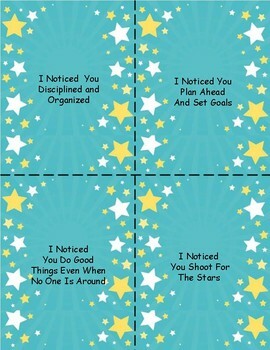 I use these cards for PBIS and my students are excited to receive them and then share them with their parents. 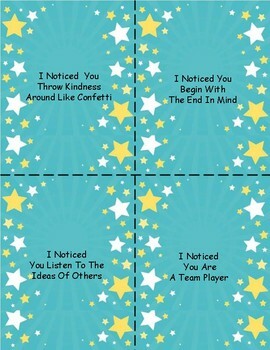 For lower elementary students you can place a note in their take home folder and both student and parent have a nice surprise.